Since it is a holiday, people and business are bound to take some time off, which is a two-week duration for the holidays. So, the first step to preparing your business for this break in transmission is getting a clear idea of how long your suppliers intend to go on break before resuming business. For the sake of posterity and to get you prepared, we have included a forecast of the future Chinese new year celebrations below (2019- 2022). How will the holiday affect business? Prior to the holidays, the process of shipping goods may drag a bit, this is because suppliers will slow down production process some weeks in advance. All this will, of course, have adverse consequences for e-commerce business, as late deliveries may become prominent. Working closely with your supplier, and getting all the details on how they will run their production process during the holiday is crucial in making your plans and explaining the situation to your customers in a clear and polite manner. You might also want to consider using ePacket since their ship time will be faster than standard shipping. For those of us that are lucky, our suppliers might not even be based in China; if this is your situation, there is no need to worry much since your suppliers will not be mandated to celebrate the holiday, so you may not experience any delays. Is shutting down an option? Closing your store has been touted as a way to play it safe during these holidays. However, we would like to tell you that this isn’t always true. If you play your game right, you can still keep your store open and be successful during this period. Remember that the holiday lasts for just 2 weeks, your suppliers might resume business before the two weeks are over, so keep your business open, interact with customers, inform them about the holiday and how it will delay delivery, be honest and open, let them trust you. If they don’t patronize you during the holiday, they will after it! Don’t close your store and miss out on potential new clients. Another critical thing to do during this period is to ensure that you are conversant with all the details surrounding your best selling product during this period. Ensure you contact the supplier of your most profitable item and find out their business plan for the holiday and their resumption date. If they will resume late, it is advisable that you conceal that product from your store and unveil it affect the holiday, this would help you play things safe, so you don’t get bad reviews from clients experiencing late delivery. Giving in to the fear and closing your store down will only scare customers away, always try to stay active during this period, use social media, reply emails, interact with your customers, this is the time to build trust not shut down. Products that sell well in late January and early February are the most affected by the Chinese holidays. Items that will do well on Valentine’s Day like lingerie or teddy bears may experience delays in arrival. So keep your eye on time-sensitive niches, as they are the niches that are really impacted by the Chinese holiday break. Questions and queries from concerned customers may pour in during this period. Make sure you take necessary steps to keep your customers calm. 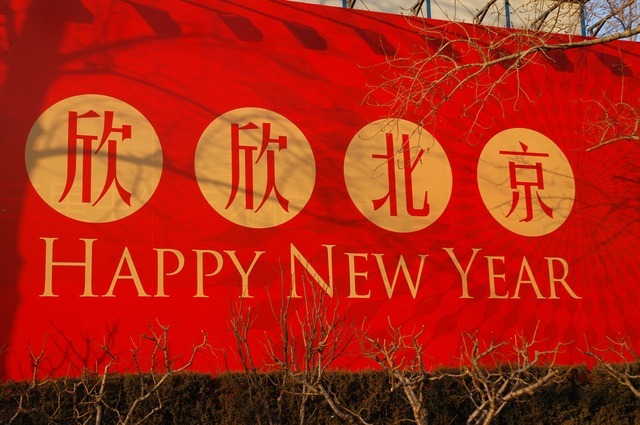 Make an educative post on your website that talks about the Chinese New Year and how it will affect the delivery of products. In case you don’t want your customers to know that your products are from China, you can simply list the dates that will be affected instead. Also, when an order has been placed, you should remind your customers of the delay through email. Setup automated emails to handle this, this is a necessary follow up, in case they didn’t read the sticker on your website. Respond to all inquiries during this period. People will be unhappy about the delays, but as we mentioned earlier, it is vital to placate them with nice and polite words. Assure them that there is nothing to worry about, as their products will definitely arrive. Be proactive, monitor all packages being shipped, if you notice any discrepancies or packages that haven’t been shipped, quickly inform your customers about these delays. Finally, place all your orders on time! This will help you eliminate certain product’s deadlines and prevent any future issues. Keep track of your suppliers timeframe this will ensure your customers receive their products on time! If you adhere to these tips, then you wouldn’t need to shut your store down during the holidays, you can even make sales and pull in new customers before things go back to business as usual. Why to go Shopify and not WooCommerce?? Shopify Is Easier to Use, it's a turn-key solution. (hosting, ssl etc all included) + great app store to boost your sales. WooCommerce is free opensource plugin and working with Wordpress which means you have to install and confirgure everything yourself, buy hosting, ssl separately too so there is no real saving just more headaches. Go for shopify and jump straight into selling rather than micromanagement tech parts with WooCommerce..
WooCommerce looks like saving but in reality you have tons of hidden costs like domain, ssl and tons of extra hassles... Why not go easy with Shopify! Hey pals!!! Is dropshipping legal on amazon? or just shopify? It's not illegal. Dont listen if people say it is. Read amazon link above! Is Retail arbitrage even worthwhile anymore? i checked Target, Walmart, Toys-r-us and profit margins are too low for me. I am confused with Facebook ads.. It shows on my FB ad is set I've got 15 conversions but in shopify i just got only 7 sales. WTF? Eric. Conversions can be of multiple types. Add to cart, view content etc are all counted as conversions. hover over 15 conversions and see how they are broken down.. In short Conversion = Action. It does not mean sale. do we really need to wait for our first product to sell at least 10 items per day as suggested ? is this still a valid benchmark to work with? Yes but you don't just sit and wait, you prepare your next product while promoting and launching previous ones! Glad to see you are rocking guys!!! Just a quick one. How do I follow up the buyers without violating AMAZON TOS? Use feedbackgenius or sellerbacker.. After the client left positive reviews under seller feedback you automatically ask if they'd be interested in sharing their experience with the product on the product page! Works like charm. Check the videos called "
And "Amazon FBA without big investments"
Bottom line you dont need 5k to get started with ecommerce. Start your Shopify store or simply do teelaunch business or even Amazon FBA WITHOUT whitelabelling ! Tons of oppotunities! hi after taking the steps to show you my store I realised that i did it in hast and have closed it, by the way thanks for all the comments they were super useful! I am going for my original niche and I have several ideas for others once im up and running. I am very impressed by the help you get here, from the keyword, title generator, the filler and bullet point generator and everything else, all great in helping newbies like myself. thank you and that's a good plan. what companies do you mean specifically? welcome guys, i am new here.. i was wondering what upsell and funnel apps you guys are using and why? Welcome friend I tried clickfunnels its good but not integrated with shopify.. Use clickfunnels to build your landing page for facebook ads promotions and collect leads and THEN send them to shopify via followup series..
For shopify try One click Upsell by Zipify. also Product Upsell.. You can set up rules for upsell offers. Klavio works well for retention emails.. Check Leadpages it allows to gather leads on your own website so you can follow up and market to your list. I know there are many photographer recommendations here, but what I am wondering is what is a fair price per photo? amzshots.com, great work with great prices. I've paid between $20 to $50 per image. The $50 images are outstanding. great course, love every minute of it!! please do more videos about facebook ads! I was on shopify then left over grey areas of card merchants not wanting to support product. Months later I came back and then left after 10 days due to lack of available products in my niche. Aliexpress vendors using misleading titles or description don't help. I then tried an app to upload Amazon products as an affiliate and do a review site, but it looks gawdy compared to shopify, and I will never make money like that. Therefore, I am convinced that shopify is way better. I'll just have to find a different niche that Aliexpress or a US dropshipper can fulfill! I think the niche finder tool and the "Most passionate niches" report will help you find the product http://sellslikehotcakes.co/niches.php Good luck, keep us posted on your progress. Shopify supports Stripe and Paypal, no grey areas there, very easy these days. Try to attach them both! please someone help me with orbelo. After you import the products, you can simply edit them from Shopify itself (in the PRODUCTS section) and there you can update description, set collection etc. Also if you think it's a bug, reach Oberlo support, they are very helpful! I just returned back from China trip, that was such an amazing and eye opening experience to see REAL China, to break stereotypes, to meet my chinese partners, sourcing agents. I had a great opportunity to get in depth insights into Chinese whitelabelling business, I even visited and FILMED several factories for you! So you will see my journey and hopefully follow and take action as well, starting your own successful business in China! We also had a chance to visit Canton fair, the biggest industrial fair in the world with over 45000 factories showing their newest products to potential FBA sellers from all over the world! We filmed it too to give you real life insights on how we choose the product and what questions we ask! Thank you again for leaving your reviews for the course, it really helps me a lot spread the word and inspire me keep going and share this exciting material with you to help you succeed on Amazon and shopify! looking forward mike!!! super exciting! What was your most meaningful review (so far) like? What impact did it have on you? What would you want your dream review to say if your student could only use one sentence? The fact that someone took action and started his own ecommerce business is the best review for me. I know many people only learn but never take action or find excuses like "i dont have time for this", so I really appreciate when people take action and do what they learn! Hello new one here.....Is there a video on how to choose your product and niche? Of course Andres, a big part of both Shopify master and Amazon FBA video course is devoted to it, please take your time to watch! right, new idea every day! Great course. What other payment gateways can I use as I don't live a country to be able to apply for paypal. Can't wait to make my first sale. I'm already done with the store and facebook page. Thank you. Maybe Stripe ? it allows to accept major credit cards!